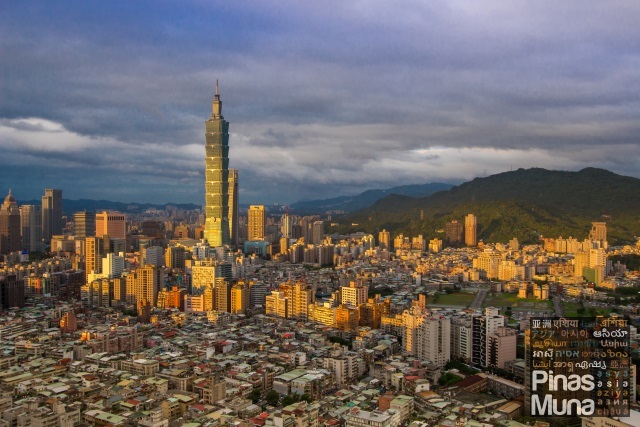 Taipei has become one of the most popular travel destinations for Filipinos in the recent years. This is primarily because of Taiwan's close proximity to the Philippines and with airfares much cheaper than flying to other destinations within the region. 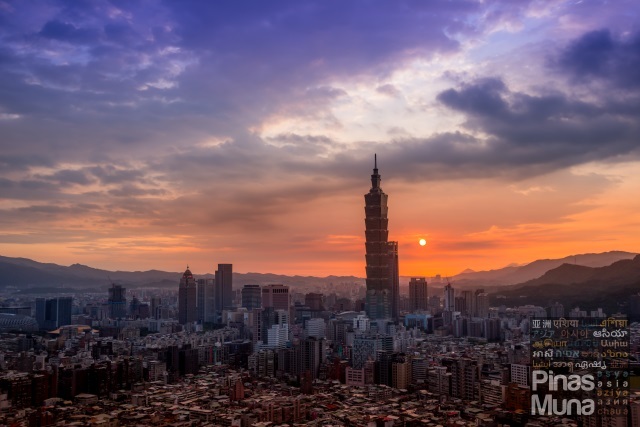 With the anticipated implementation of the visa-free entry to Taiwan for Filipinos, Taipei will surely become the most preferred holiday destination for Filipinos. Check the latest AirAsia promo fares via airasia.com. 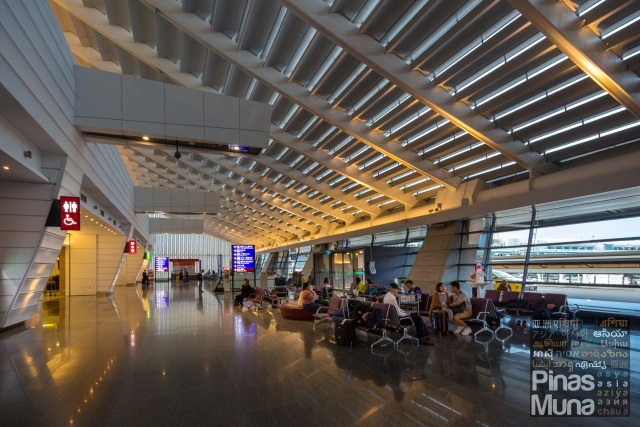 All AirAsia flights are currently served by the Taiwan Taoyuan International Airport - Terminal 1. The airport is known for its well designed terminal buildings and well maintained facilities, as well as its convenient connectivity to the city. Free Wifi and charging stations are available at the airport's public areas. There are also plenty of comfortable seating areas at the Arrival Hall and at the Airport Shuttle Ticketing booths. There's also a food court located at the Departure Area and a 24-hour convenience store located next to the Airport Shuttle Ticketing booths. 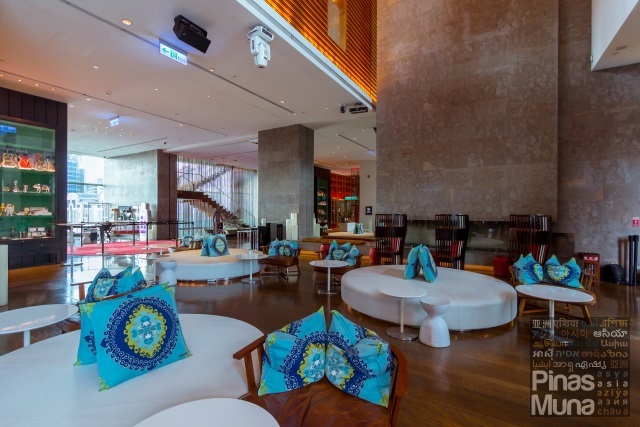 Standard check-in time at W Taipei is at 2:00pm so you have the whole morning to explore some of the landmarks and sample the cuisine of Taipei. 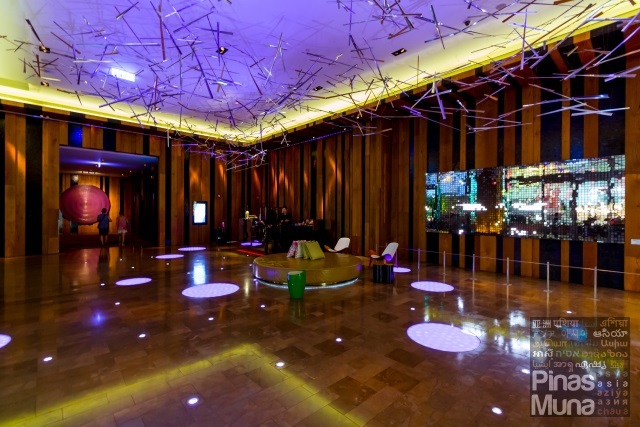 You can leave you bags at the concierge of W Taipei and you are all set for day 1 of your Taipei adventure. First stop is breakfast! 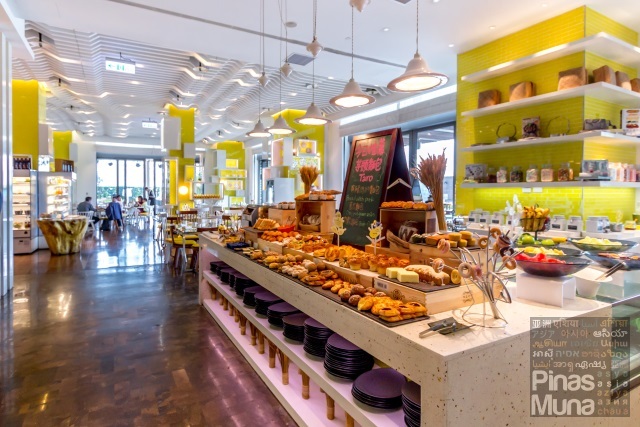 From W Taipei, make your way to Nanmen Market. 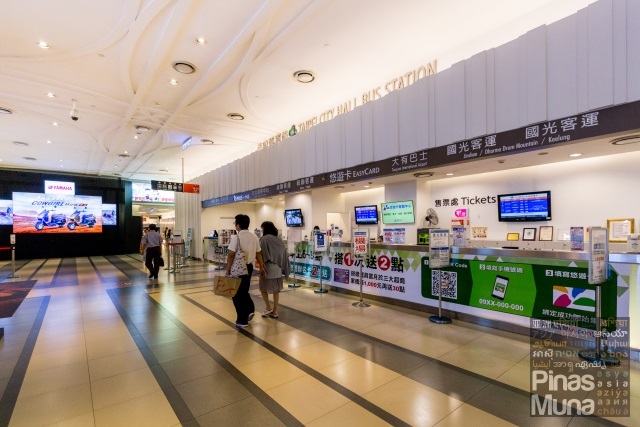 To get there, take the train from Taipei City Hall MRT Station (BL18) to the Taipei Main Station (BL12). 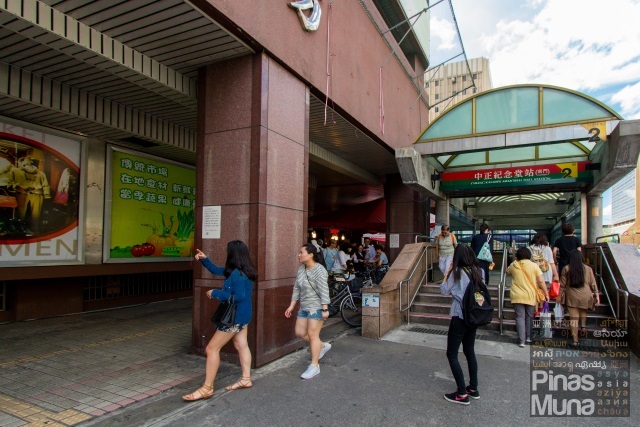 Transfer to the red line of Taipei Main Station (R10) and continue on to the Chiang Kai Shek Memorial MRT Station (R08). Take Exit 2 to get to Nanmen Market. 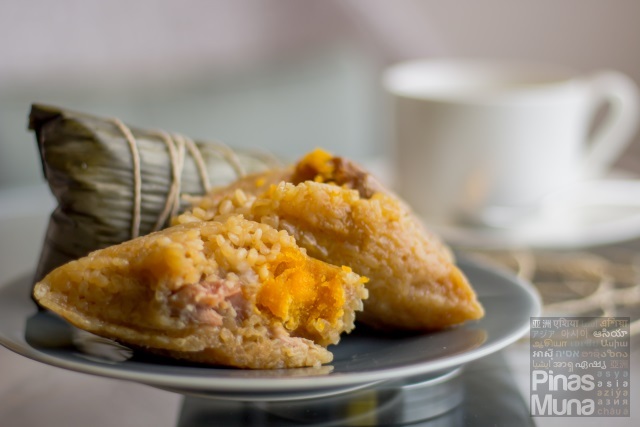 One of the popular breakfast items here at Nanmen Market is zongzi, commonly known as machang here in the Philippines. I am not a fan of machang, not until I tried this zongzi sold at Nanmen Market. 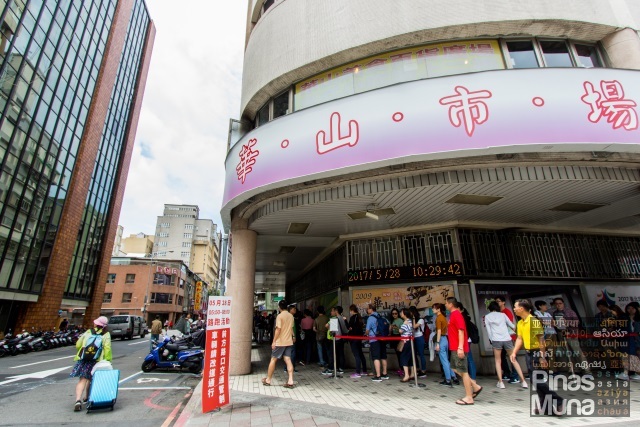 It has been awarded as the best zongzi in Taipei, and the locals queuing up will surely agree. Zongzi are freshly made everyday and sold warm from this store. I highly recommend the zongzi with sausage and salted egg. You can just unwrap the zongzi and its ready to eat, just like how we eat suman in the Philippines. Zongzi is also a great pasalubong item. Zongzi can last for a few days if kept refrigerated. You just have to re-steam the zongzi before eating it. It is best paired with oolong tea. 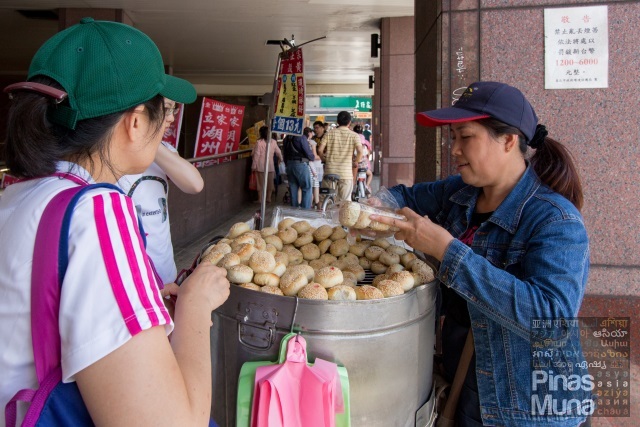 If you chance upon this lady selling those cute pepper pork buns, make sure you buy some as those are really really good. They have a comforting taste, especially during the cold months. These ones are the bite size version which make for the perfect snack while exploring the streets of Taipei. 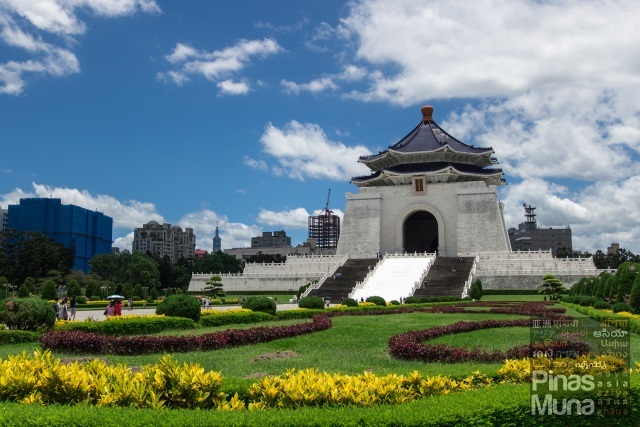 Now that you had your morning fill, it's time to see the most famous national monument of Taipei, the Chiang Kai Shek Memoral Hall. To get there from Nanmen Market, go back to the Chiang Kai Chek Memorial MRT Station via Exit 2 (the exit beside the Nanment Market) and exit at Exit 4. Look for an alleyway (called Lane 9 in Google Maps) located behind the exit ramp. That's your shortest way leading to the monument. 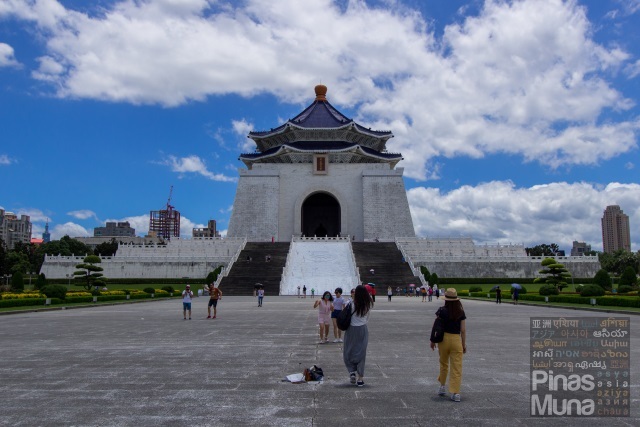 Chiang Kai Shek Memoral Hall is one of the most iconic structures of Taipei and of Taiwan as a country. The stairs leading to the main chamber of the memorial hall houses a statue of Chiang Kai Shek, former President of the Republic of China (Taiwan ROC). It is a must-visit for first time visitors to Taipei. After a tiring morning at the Chiang Kai Shek Memorial Hall, you must be famished and I know a nearby place perfect for lunch. Make your way back to Chiang Kai Shek Memorial MRT Station. Enter through Exit 4 and exit at Exit 2 (Nanmen Market Exit). From Exit 2 ramp, walk straight to the next corner and look for Jinfeng Braised Meat Rice (金峰魯肉飯). There's a short queue and waiting time is about 10-15 minutes. Jinfeng Braised Meat Rice is famous for its braised pork rice bowl as well as other braised dishes. 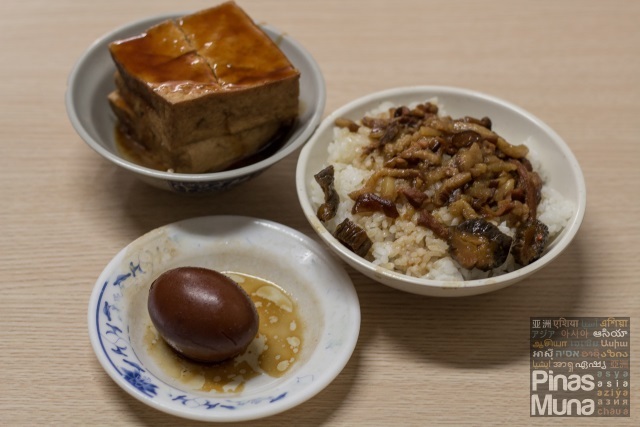 During my visit, I had the braised pork rice bowl, one braised egg and two orders of braised tofu. 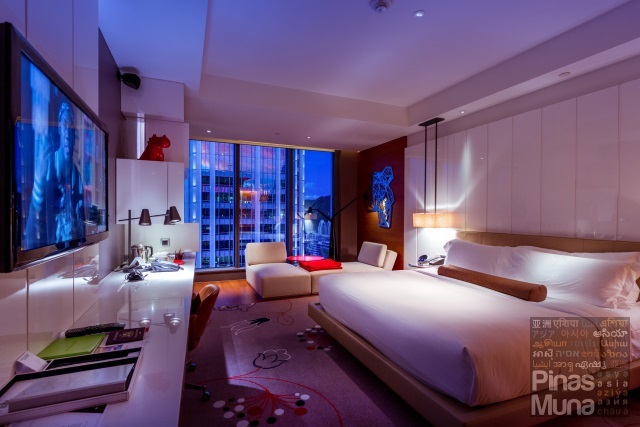 It's now time to go back to W Taipei to check-in to your room. From Nanmen Market, you can take again the MRT to go back to the hotel, but since you are probably tired already, I recommend that you take a taxi or book an Uber car instead. Fare is between NT$250 to NT$300. 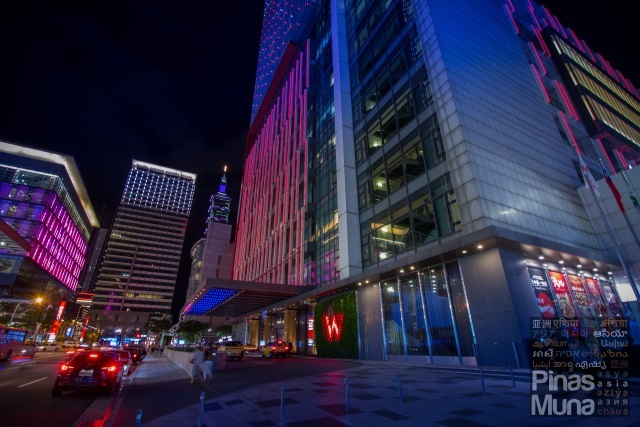 If you are taking a taxi, you might have to show to the driver the name of W Taipei in Chinese which is 台北 W 飯店. After you have settled into your room, it's time to book a massage at AWAY Spa, the hotel's in-house spa. AWAY offers a wide range of massage, body treatments and facials. They have well trained therapists who can adjust the treatment to your preferred pressure or focus area. For the ultimate relaxation, pamper yourself with one of their spa packages. What a great way to soothe your tired legs and back after a day of exploring Taipei. 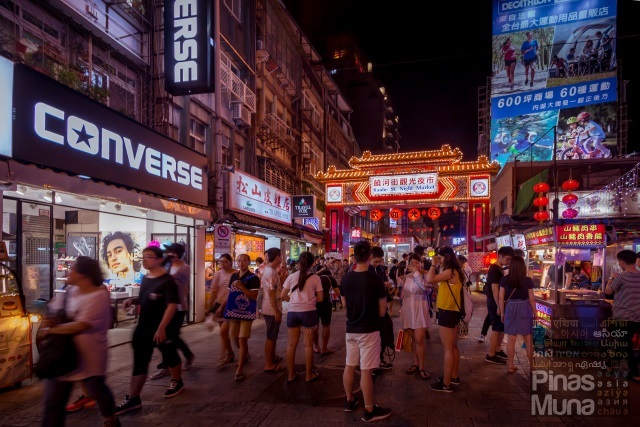 More than anything else, Taipei is a prime destination in Asia for food trip, and the most popular food trip destination among tourists are the countless night markets in Taipei. Night markets are open everyday from around 5:00pm until 11:00pm, some even stay open until 2:00am. 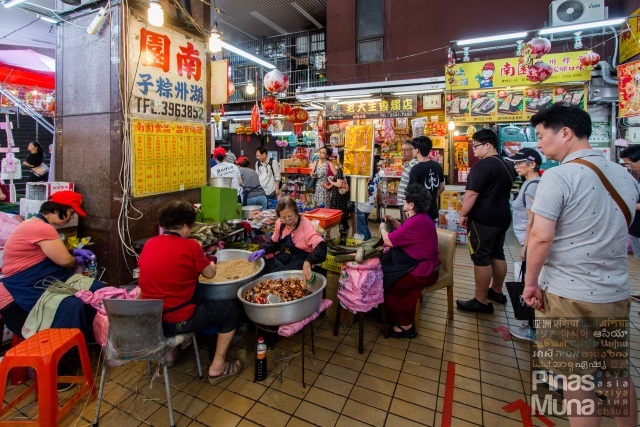 The Raohe Night Market (饒河夜市) is one of the biggest and most frequented night markets in Taipei. To get there, the easiest way would by taxi or booking an Uber car. Fare would be between NT$100 to NT$150. If the driver does not speak English, just show the Chinese name of Raohe Night Market. My top favorite item in any night market is the wild boar sausage. As the name suggests, meat from a wild boar is used in making these sausages. They are usually grilled and served on a stick. They are very compact, juicy and flavorful, with a mildly sweet taste. Each stick costs NT$35 while three sticks would cost NT$100. Congratulations, you survived your first day in Taipei. In summary, you had breakfast at Nanmen Market, tried zongzi and pork pepper buns. You've seen the Chiang Kai Shek Memorial and had lunch at Jifeng Braised Meat Rice. You spent the afternoon in the hotel and had a relaxing massage at AWAY Spa. 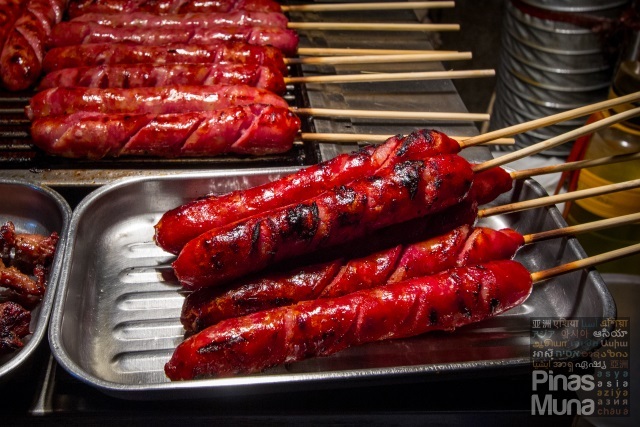 In the evening, you experienced your first Taipei food trip at Raohe Night Market. Now, it's time to sleep and recharge for yet another day of adventure in Taipei. Good night and have a Wonderful sleep. Rise and shine! It's Day 2 of your Wonderful Weekend in Taipei. Yesterday was a very busy day of exploring the historical and culinary wonders of Taipei. Today, let's make is light and easy, yet fun at the same time. Off you go for an authentic Taiwanese breakfast. 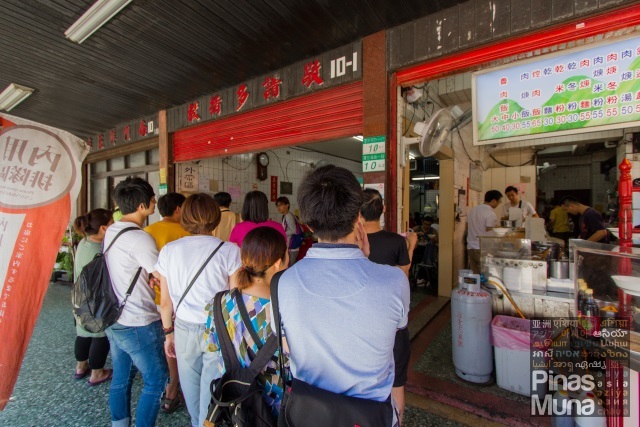 Fu Hang Dou Jiang (阜杭豆漿) is a popular breakfast place in Taipei, not only for the locals but also for tourists. 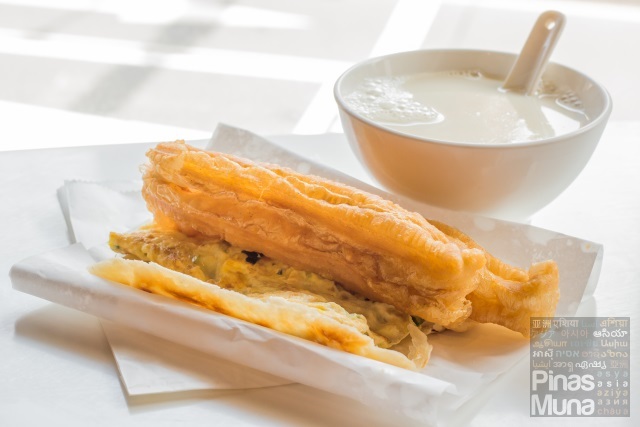 This restaurant serves traditional Taiwanese breakfast consisting of a flaky sesame flatbread with scallion omelet and fried bread stick. It is best paired with a warm soy milk. The place has been featured by many TV shows, magazines and blogs making it extremely popular, so expect to wait in the queue for 30 to 45 minutes. Fu Hang Dou Jiang is located in the Zhongzheng District near the Shandao Temple. To get there, take the train from Taipei City Hall MRT Station (BL18) to Shandao Temple MRT Station (BL13). Take Exit 5 and the entrance to Fu Hang Dou Jiang should be on your right side. Just look for a long queue on the street. The queue you see in the photo goes all the way to the second floor of the building where Fu Hang Dou Jiang is located. Back in the hotel, it's time to burn all the food you ate from yesterday at the Fit Gym. Burn all those calories through by using any of their latest cardiovascular equipment. Tone your body with the weight machines and free weights. 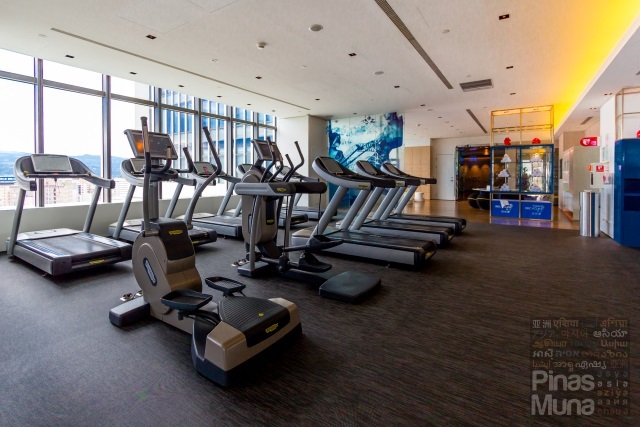 You can also get rid of your body toxins by using the gym's steam room and dry sauna. 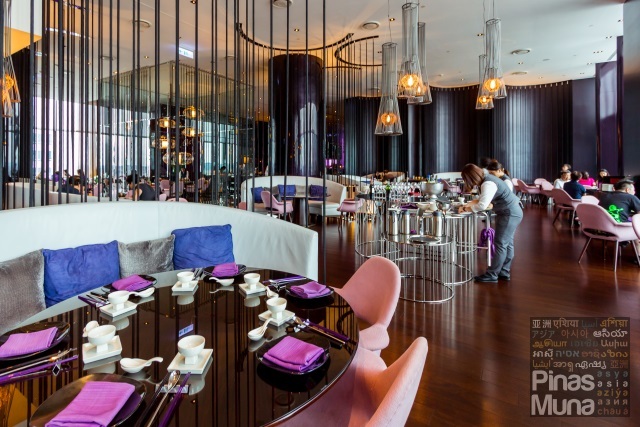 Next to YEN Chinese Restaurant is YEN Bar which is one of the best venues for afternoon tea in Taipei. 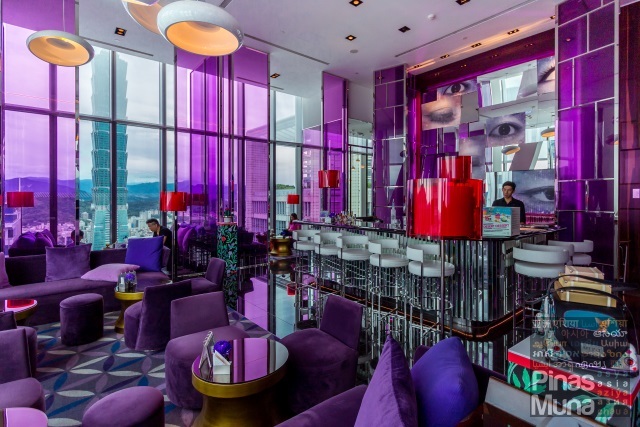 The floor to ceiling window provides an unobstructed view of Taipei 101. The best spot to take Instagram worthy photos are the seats located by the glass window. Your trip to Taipei is not complete without trying one of its most talked about delicacy. 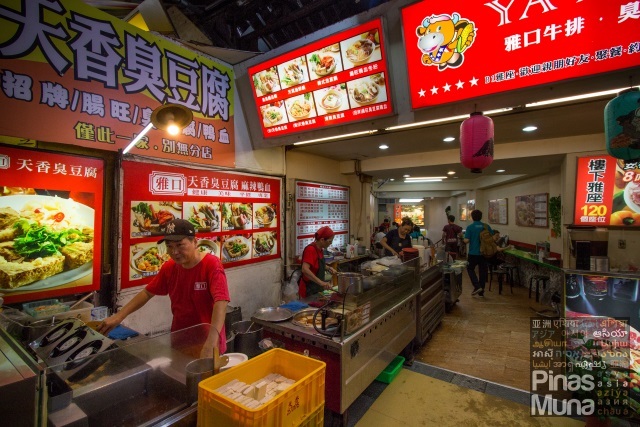 By dinnertime, make your way to Linjiang Street Night Market (臨江夜市) and visit this restaurant serving stinky tofu. To get there, just take a taxi or book an Uber car from the hotel. 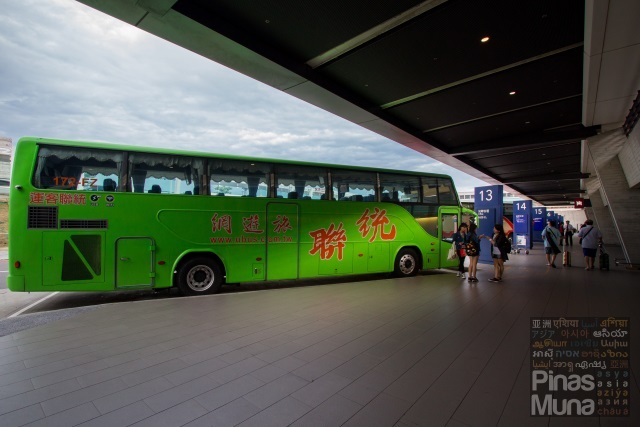 Fare is between NT$100 to NT$150. They serve two versions of stinky tofu. 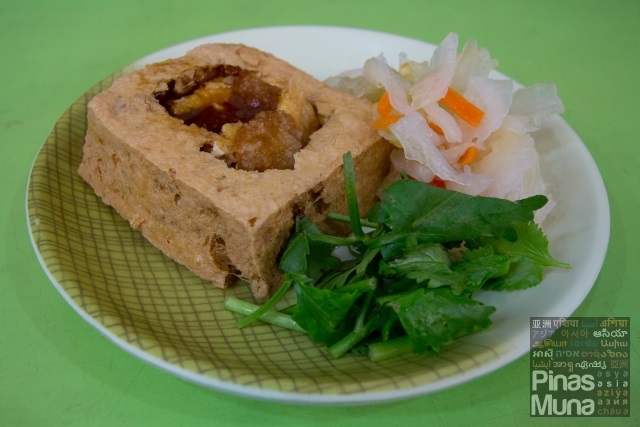 The most famous one is the fried stinky tofu which is served with minced ginger, pickled radish and fresh coriander. Another version is the steamed stinky tofu served in a soup with mushrooms. Both were really good, and your preference would depend on what you are in the mood for. In a rainy day, I would probably prefer the steamed version. Today you experience a traditional Taiwanese breakfast at Fu Hang Dou Jiang. You sampled modern Cantonese cuisine at YEN Chinese Restaurant. You enjoyed the view of Taipei 101 over afternoon tea. Finally, you embarked on another culinary adventure at Linjiang Street Night Market.This wraps up your second day in Taipei. If you are on a morning flight to Cebu, I suggest that you take your breakfast by 6:00am and depart from the hotel by 7:00am in order to make it to the airpot by 8:00am. If you are on a midnight flight to Manila, you have extra time in the morning to enjoy the facilities of the hotel. 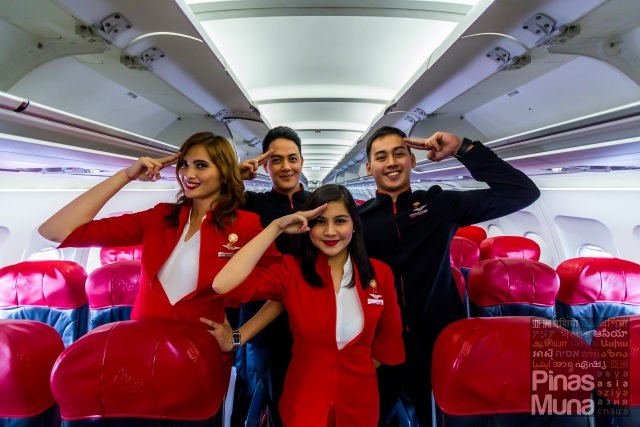 Check the latest AirAsia promo fares via airasia.com. After breakfast, cool down by taking a relaxing dip in the pool. WET, the hotel's open-air swimming pool is located on the 10th floor right next to The Kitchen Table. 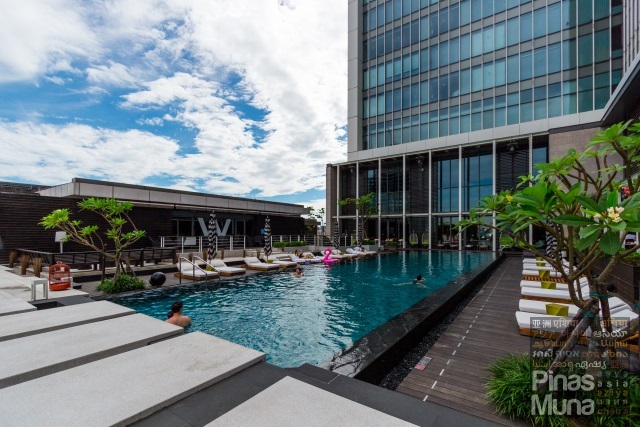 Whether you're visiting during the hot summer season or the wet rainy season, the thermo-controlled swimming pool will ensure a comfortable time spent in the water. By 12:00 noon, it's time to check-out from the hotel and head out for lunch. You can leave your stuff at concierge and they will provide you with a claim tag. Conveniently accessible from the hotel lobby is Uni-President Hankyu Department Store (統一阪急百貨) which houses a number of restaurants and cafes. 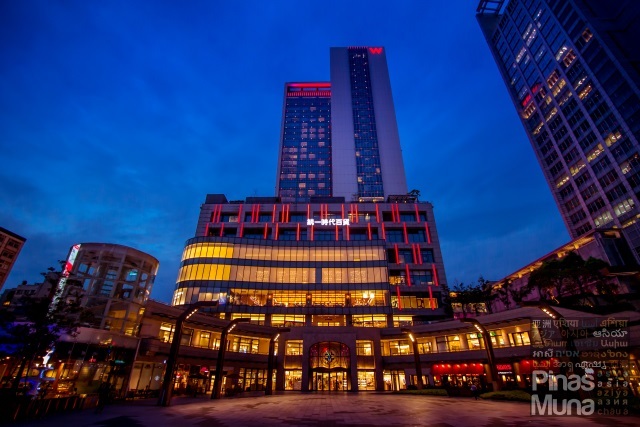 This high end mall also features luxury fashion brands ranging from perfume to clothes.